LEGO Ideas – Female Minifigure Set « Adafruit Industries – Makers, hackers, artists, designers and engineers! LEGO Ideas – Female Minifigure Set. 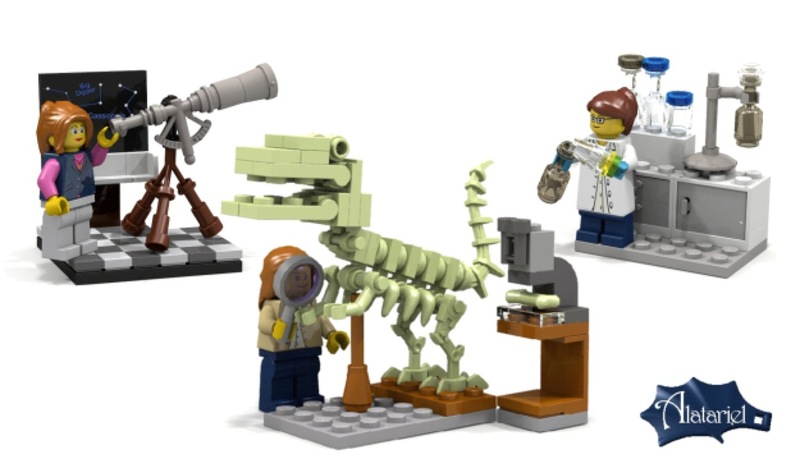 We’re very excited to release Ellen Kooijman’s Female Minifigure set, featuring 3 scientists, now entitled “Research Institute” as our next LEGO Ideas set. This awesome model is an inspiring set that offers a lot for kids as well as adults. The final design, pricing and availability are still being worked out, but it’s on track to be released August 2014. For more information, see the LEGO Ideas Blog.